We never spend Christmas in our own house. Never ever. In the 15 years we've been in this house we have hosted one Christmas at our joint. It was somewhere around 2003 or 2004. I remember Tahlia got a Cinderella dress from Santa. We had Derek's family, my parents and a bunch of aunts, uncles and cousins over for lunch. I do believe that's the ONLY Christmas I have ever hosted in my own home. My entire adult life I have travelled at Christmas and woken up at someone else's house on Christmas morning. As a result, my kids have experienced the same festive "fate". Santa has to find them wherever they may be. Mostly it's either with my folks or Derek's folks. We do the whole year on, year off thing. It works well. Especially because if we are with Derek's family my parents still come too (on account of me being an only child and all). This year will be the first Christmas I've never been with my parents. This will be the first Christmas we won't be with either of our families. This will also be another Christmas we don't get to wake up in our own home. Because we're heading to America baby. Yep, we're dreaming of a white Christmas. For a few years we've talked about taking the kids overseas for a winter festivous so we figured the best place to do that is with my bestie in Pennsylvania. We leave in a few days. So while the heart will be heavy with the grandparents being left behind, the mood will be light with the love of a bestie and her family by our side. We never spend Christmas in our own house. I hope Santa can find us! 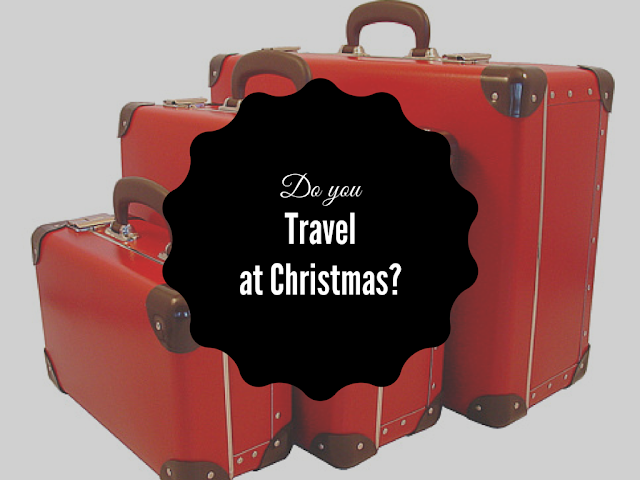 Do you spend Christmas in your home or do you travel for the festivous season? I've never spent Christmas away! So jelly of you having a white Christmas ... enjoy! We spend Christmas in our home city of Perth visiting family. We also prefer to spend that week on a stay cation. Perth has the best beaches and how can you take a kid away from all those new toys. I am jealous! We never travel o/s- too many complications and agreements being a blended fam- one day! Have a great time! We're at inlaws and my fam - jealous of America! Have a fab time! Share the pics! We are usually around as Santa has to find us and after 15 years, Santa has found us every year. Up until we moved to Perth we traveled at Christmas. We would spend the entire day traveling across NSW with our families scattered. It was exhausting. The move to Perth now means we get to do things our way and that means no traveling. Although one year, we did organise a staycation and we traveled 10 minutes to a fancy apartment in the city with a pool for a change of scenery. It was wonderful.